TRAVEL GUIDE : Dumaguete City and Valencia, Negros Oriental - Tourist Spots and Attractions, Things To Do, Itinerary, How To Get There, Accommodation, Getting Around, Expenses & More! This is a travel guide that will help you plan an overnight trip to the "City of Gentle People" Dumaguete City and it's nearby town of Valencia, Negros Oriental. 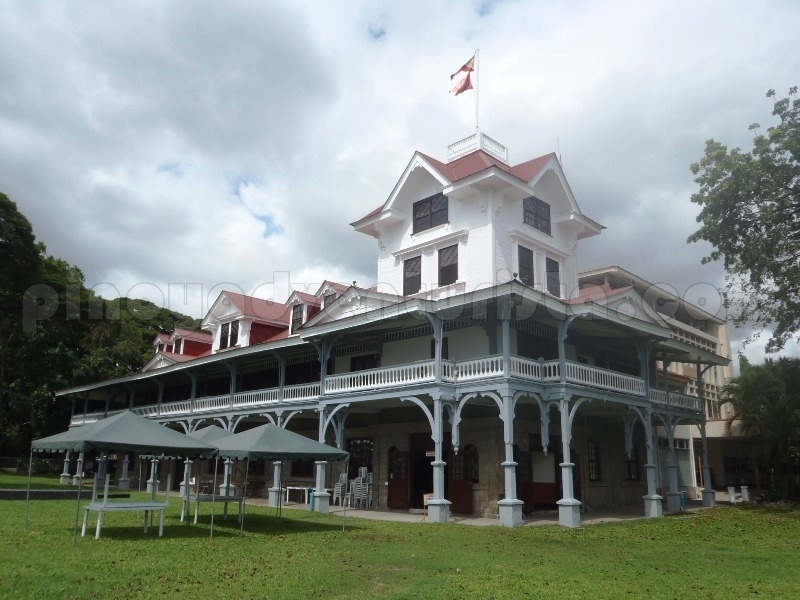 It provides basic information on tourist spots and attractions in Dumaguete, what to do, where to stay, transportation, how to get there, itinerary, estimated budget, and contact details that will guide you through your visit. 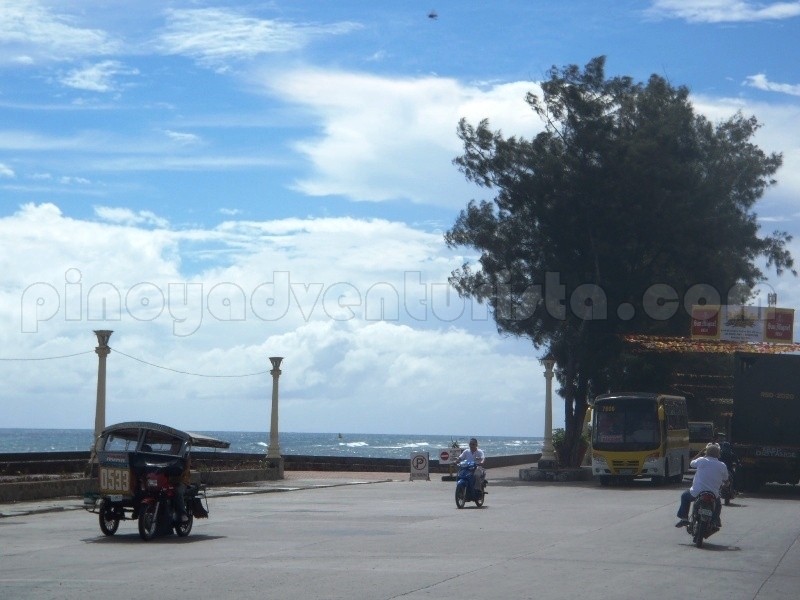 Experience Dumaguete City's truly loving, peaceful and very hospitable people. An experience you'll cherish for a lifetime! One of the most popular destination when visiting Dumaguete City is the Casaroro Falls in the town of Valencia, Negros Oriental. 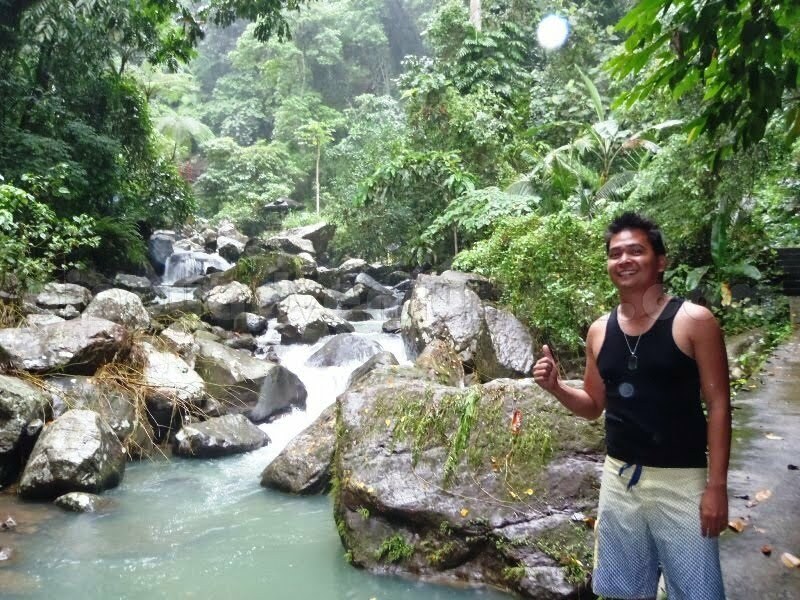 Considered to be the most photographed waterfall in the entire province, it is located just 9.4 kilometers west of Dumaguete City. Tucked in the rock crevices of the craggy Valencia mountains, the water flows and drops at a height of 100 feet to a deep, cold catch basin. To read more, click here. Your visit to Dumaguete City won’t be complete without trying out these 3 famous food items in the City - fried ice cream, silvanas and sans rival. They may not be native delicacies, but these are definitely a must-try! 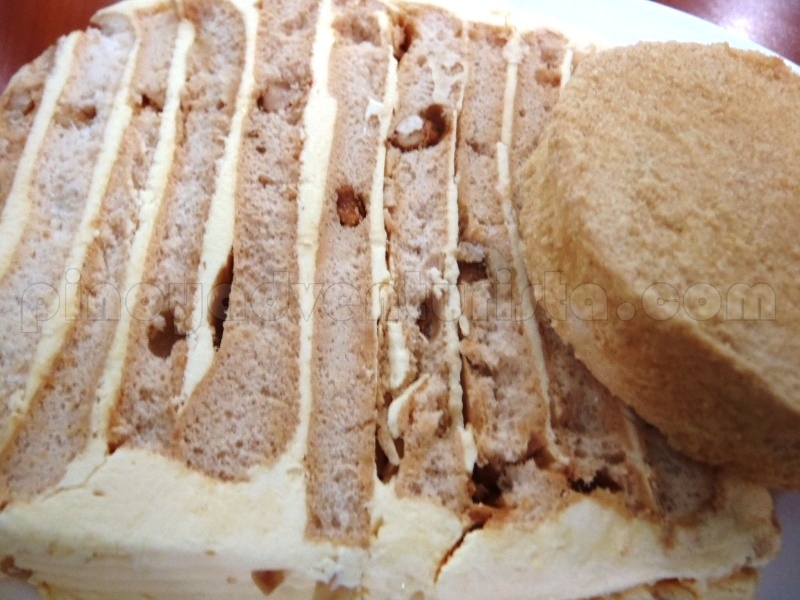 One of the most popular food items that can be found in the city is the Fried Ice Cream. We asked some locals where we could find the best fried ice cream and almost everyone pointed us to Panda Ice Cream Store. To read more, click here. Silliman University and Rizal Boulevard are two of the must-visit landmarks in Dumaguete City. 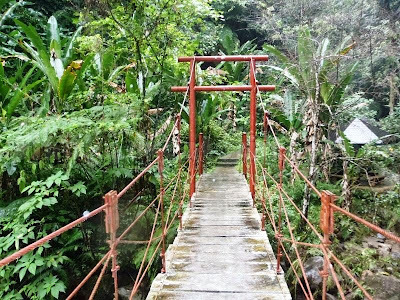 After we have explored Casaroro falls, we went back to the city to have a feel on how things are going in this "university town" in Negros Oriental. 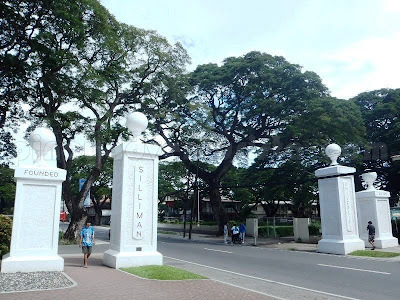 Established in 1901 by Protestant missionaries of the Presbyterian Church in the United States, Silliman University is the oldest American University in Asia. To read more, click here. 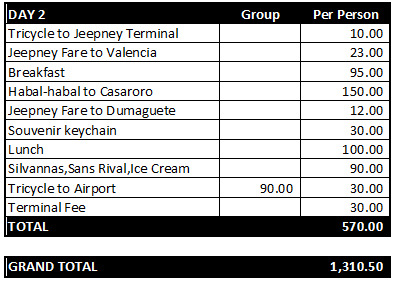 Note: This is my suggested itinerary for an overnight trip in Dumaguete City and Valencia, Negros Oriental. From Dumaguete City, take a jeepney bound for Valencia, fare is 12 pesos and travel time is about 30 minutes. Upon reaching the town, look for habal-habal drivers that could bring you to the jump-off point to the falls. You may contact Tata (0935-9855491) for habal-habal services (150 pesos each, 2 way). The hotel's awesome vibe, quality accommodation and personalized service is highly commendable. Their staff are cheerful, sweet, polite and attentive. They greet you with a genuine smile all the time. Service is really commendable! The hotel's interiors and amenities are truly first-class and unique. 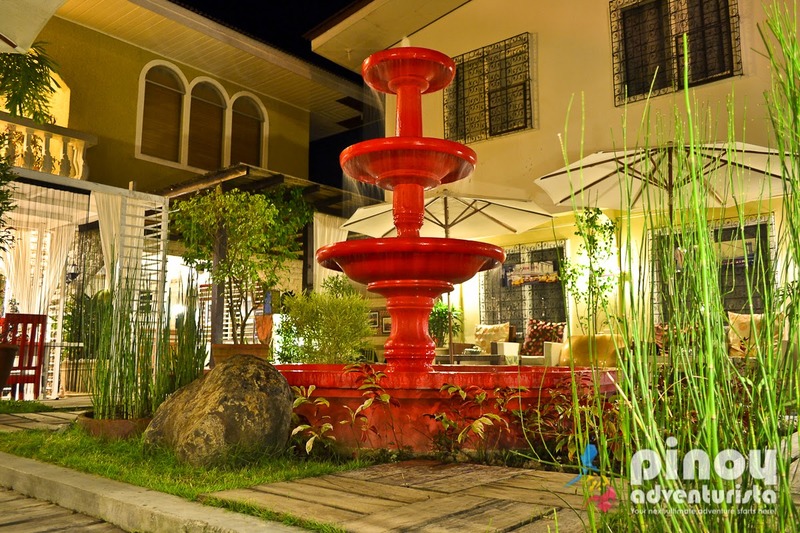 Without a doubt, Islands Leisure Boutique Hotel and Spa is now one of my favorite hotels in Dumaguete City! I truly enjoyed our stay and I will definitely come back! To continue reading my review, click HERE. We took the standard A/C room for PHP 1,125 per night which comes with a complimentary breakfast (toast and coffee). It was huge, comfortable and clean. It has one double and one single bed that could easily fit the 3 of us. It has a nice and spacious toilet and bath (with hot and cold shower), a television set and a balcony. To read more, click here. Tricycle is the most common mode of transportation around Dumaguete City. Minimum fare is around 8.00 pesos. You can also hire a motorcycle if you want to explore the city and nearby towns on your own. It can be rented for hourly or daily basis. You can just ask around where to avail. Note: This is an estimated budget for a group of 3 people. A continuation of the Siquijor trip. This is part of my adventures in the provinces of Siquijor and Negros Oriental that happened last November 20-22, 2011 with my MBA friends, Clarice and Marvin. Negros Oriental is the 49th province on my list. 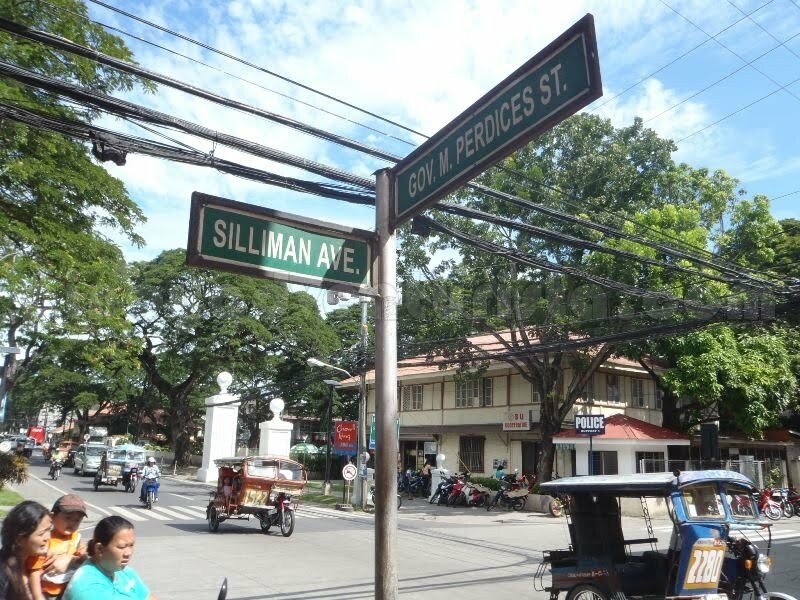 Join us as we enjoy the "City of Gentle People" in this one awesome trip to Dumaguete City and Valencia, Negros Oriental. 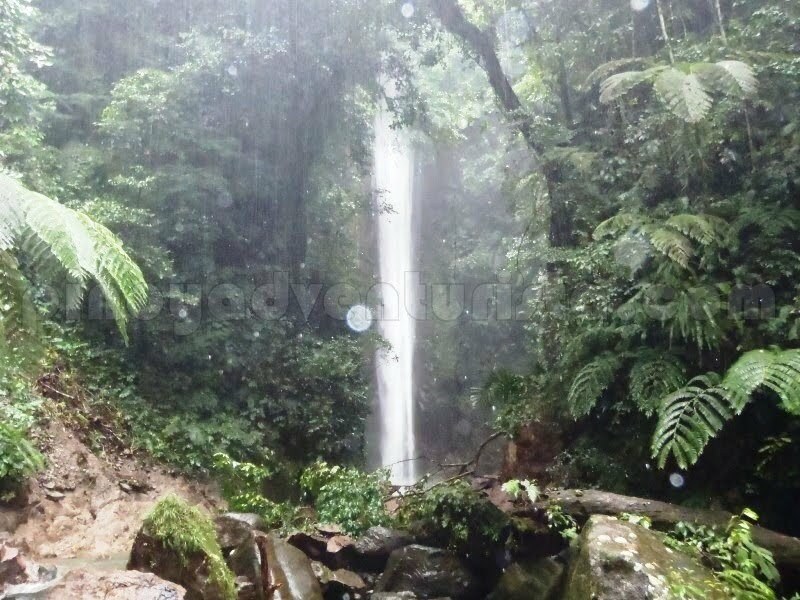 Great Itinerary!Casaroro Falls looks inviting especially super init ngaun!! I have a thing for falls. casaroro looks inviting! Thanks for sharing your detailed itinerary and travel expense. this will surely help! :) Take care! Mervz, this is a good and comprehensive guide. I've got an idea on this one. :-). 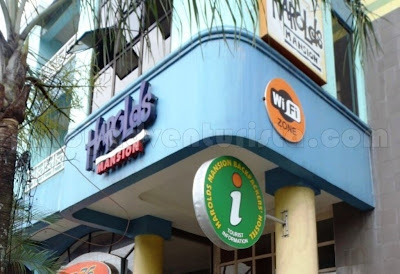 Aside from Harold's, may ibang budget-friendly place pa ba that you could suggest in Dumaguete?